Matt Shriver’s TREK MTB was stolen on Saturday 11/2/13. If you’ve seen this bike send an email to the DWC with the subject Stolen Bike. 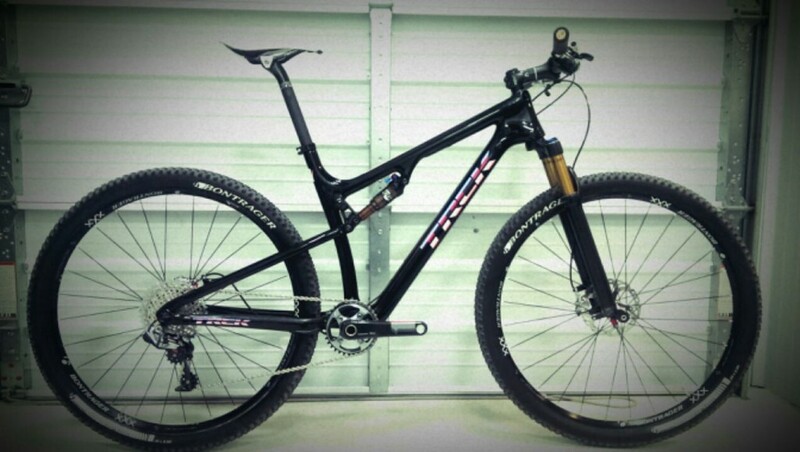 2013 Trek Superfly 100 SL Size 19″. Gloss black with “TREK” logo in pink, white, blue, black. State of Wisconsin is on the back of the seat tube in same colors “pink, white, blue, black stripes. “Midewest” on inside seat stay. “Matt Shriver” decal on the top tube. Fox Fork with no decals. Just matte grey.